Terrific location for a retail business in Lee Co with 479 ft of frontage on US HWY 19, with 20,000 plus vehicles per day. Both water and sewer on the property. 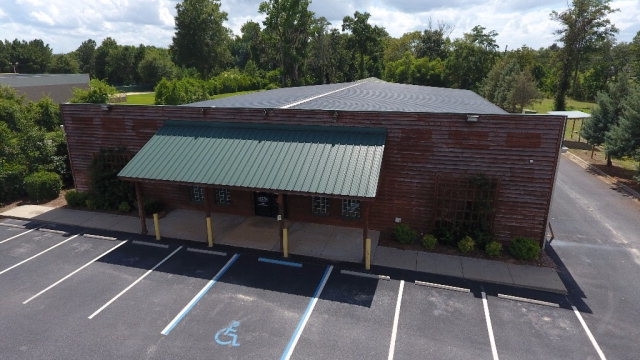 The main building is 8960 sq ft with a large showroom, 3 private offices, 2 handicap accessible bathrooms, cypress and pine walls, small warehouse space with a 12 ft roll up door, and 17 parking spaces with one being handicapped. 14 foot wall height. The entire space is heated and cooled with 4 HVAC units. The second building is 2176 sq ft with 10 ft wall height. The entire building is insulated and climate controlled. It is accessed by 2, 10 ft rollup doors and one personal door. In addition to the existing retail space, the property is partially cleared, and ready for future development. This sale is real estate only.